Locket Keys (8 pk.). TH92822. IDA92822. 4 keyholes 4 locket keys and 8 mini fasteners. Sizes range from .75 to 1.25 inch long. Antique finishes: 4 nickel 2 brass and 2 copper. 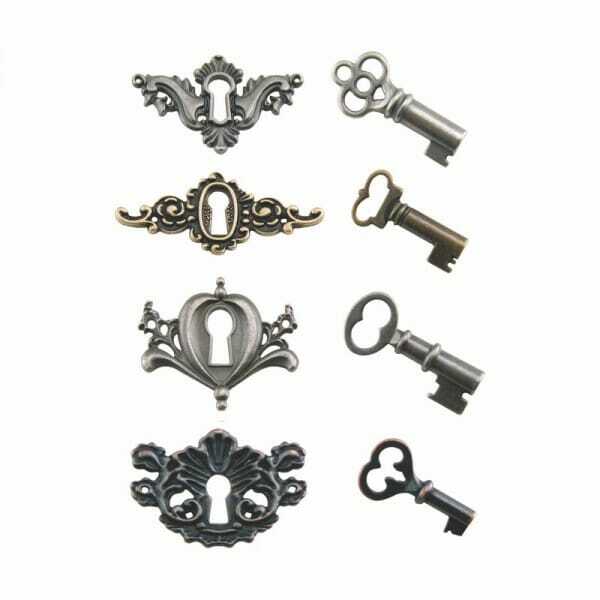 Customer evaluation for "Tim Holtz idea-ology - Locket Keys (8 pk.) -NEW!"